How do I find an Arizona Criminal Lawyer? - If you are arrested and charged with a criminal violation and facing prosecution by the state of Arizona. - If you are facing indictment for a federal criminal offense. - If you are facing a traffic offense, citation, or other violation of local city or two ordinances. An Arizona criminal lawyer will have the proper expertise and knowledge to help you through the entire criminal process while protecting your rights. You should never represent yourself in a court of law as there are many technical requirements and details that you do not want to overlook, which may greatly affect your rights. It will be important that you can talk to your lawyer openly and willingly about everything surrounding your criminal law issues. Discussing what you did and the police actions in your arrest will be the most important information your lawyer can have when evaluating your case. Do not be afraid to disclose information that you feel may harm your case or is embarrassing, as your lawyer will be held to strict confidentiality requirements and cannot disclose without your permission. You have probably seen many Arizona criminal lawyers advertise their services, whether on television, the radio, billboards, or direct solicitations to your home. While these may all help provide you with the names and locations of lawyers in your area, you should never rely on them when making your final decision on which lawyer to represent you. Instead, check with outside sources and even the Arizona State Bar Association for help in choosing your lawyer. This website can help you find a well qualified Arizona criminal lawyer. Using the search function at the top of the page will aid you in finding and comparing lawyers. You may also be able to ask questions of legal professionals to help guide you in your search. Arizona criminal law is a highly specialized area of practice that you should seek a specialist. Often, criminal defense lawyers will have had experience as police officers, former prosecutors, or other professional positions in the criminal justice field. It is highly recommended that you use the services of an experienced Arizona criminal lawyer to best protect your rights and get you the results you need. It is very important that you prepare in advance for your meeting with your lawyer. If you have in your possession any documents, such a police reports, medical records, or letters from a government agency, you should bring them with you so that your lawyer can review them. Furthermore, you should be prepared to discuss the details of your case in detail. Review and double check the names, dates, places, and times that are important to your case. Your lawyer will need as detailed of information as you can provide in order to properly evaluate your case and begin your defense. Finally, be ready to discuss what you want to achieve with your lawyers help and what you are willing to give up in exchange for an agreement. Prepare questions in advance in order to make the best use of your Arizona criminal lawyer's time. Meeting with a lawyer can be a stressful time, so write down any questions you may have so they may be answered in a timely manner. Any lawyer that practices in Arizona must meet the same basic requirements before they can represent clients. They must graduate from an accredited law school in the United States, meet the ethical standards and review of the Arizona State Bar Association, and pass the Arizona State Bar Examination. While these are the bare minimal requirements in order to practice law in Arizona, you should seek representation by a lawyer who has previous experience representing clients in a similar situation as you are in. Do not rely on advertisements and claims made by lawyers who are trying to get your business. Instead, use other outside sources to verify these claims. Experienced Arizona criminal lawyers will be able to give you solid advice on the strength of your case, what your defense plan should be, and the chances of success. They will have had prior experience with similar cases, so they will know what to expect in terms of plea deals offered and chances of successfully defending your case at trial. Good criminal defense lawyers will be tenacious negotiators and know how to get you the best possible deal or assert your defenses to get charges dropped. Always be aware of unreasonable fees, coercive behavior, or unethical actions of your lawyer while representing you. While most defense lawyers have their client's best interest in mind and are honest individuals, you should always ensure that your lawyer's actions are proper. If you believe your lawyer is acting inappropriately or not in your best interest, contact the Arizona State Bar Association to get information about your rights and whether you will need to file a formal complaint. Arizona criminal lawyers will charge their fees in a number of different ways, depending on their experience level, the geographic area of their practice, and the severity of the charges you face. Always understand and know of the fees and expenses your lawyer will be charging you. You should also seek all agreements in writing form your lawyer. Criminal lawyers will either charge their fees on an hourly basis or by a flat fee. Hourly fees care charged just as it sounds, the lawyer has a specific rate and you will pay depending on how much work is needed on your case. These lawyers will usually require an upfront payment, called a retainer, which will be deducted from their legal work. A flat fee is a one time fee paid at the start of representation and covers all of the necessary work. Some defendants may be afforded free defending counsel, depending on their charges and their financial situation. If you are unable to afford a defense lawyer, check with the court to see if you qualify. What are your fees, rates and expenses? What services will I be provided for these fees? Should I expect any other expenses during my defense? 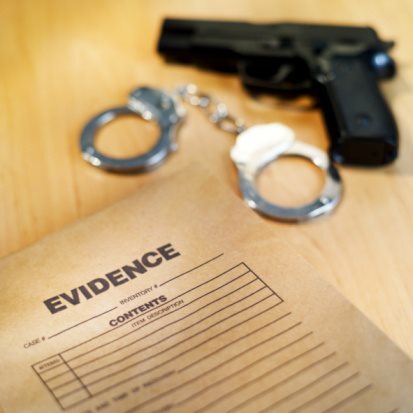 How long have you been practicing criminal law in Arizona? What are the typical kinds of clients you represent? How successful are your cases? When can I contact your for updates about my case? Will you be the only lawyer working on my case, or will other lawyers also be working on it? When you are charged with criminal offenses in the state of Arizona, it is important that you seek an experienced and knowledgeable criminal lawyer. Arizona, like all states, has its own specific laws and criminal procedures, so it is important that you find a lawyer who has been practicing in Arizona for a significant amount of time. Your lawyer will be able to advise you about your charges, what you should expect for plea deals, and whether you have good chances at beating certain charges. Arizona lawyers can be found throughout the state at all different skill levels, so make sure you find the right lawyer for you during your search.